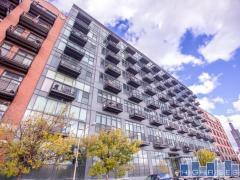 These condo listings have status="new" meaning they have just been added to the MLS within the last week. Be sure to check back often as these listings will update throughout the day. If you want to be alerted the moment a new condo hits the market, Click the Condo Alert button and save the search. Then the system will send you new listings emails once a day. You can also search new listings by area by visiting our Lincoln Park New Listings page, River North New Listings page, South Loop New Listings page, Lakeshore East New Listings page, Streeterville New Listings page, West Loop New Listings page, or Lakeview New Listings page.